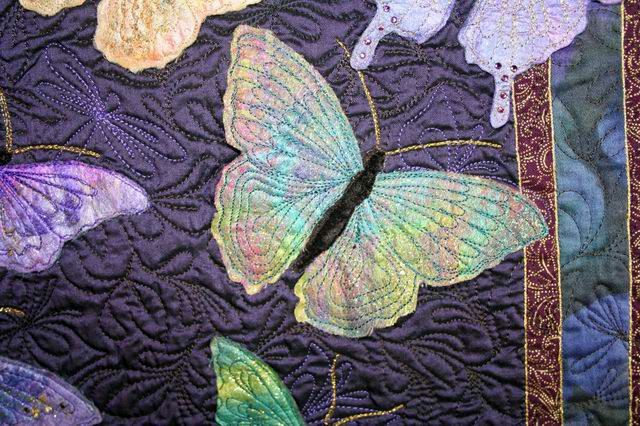 Here are pictures and information about some of my quilts. 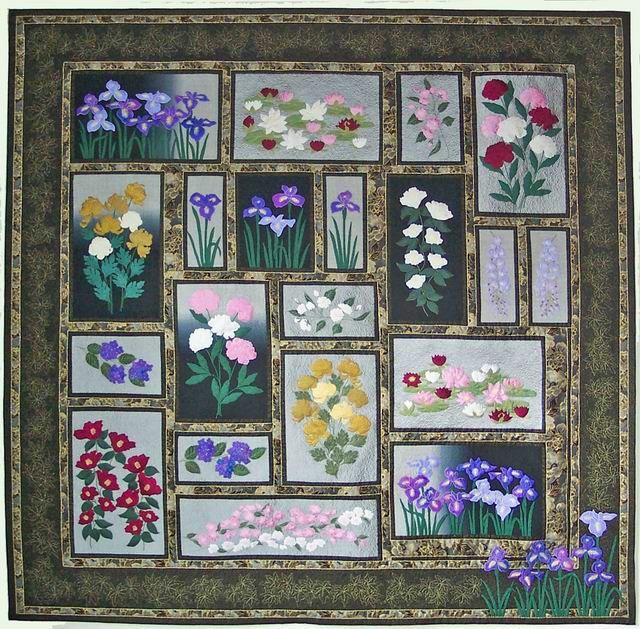 Each of these quilts is designed as a wall hanging. 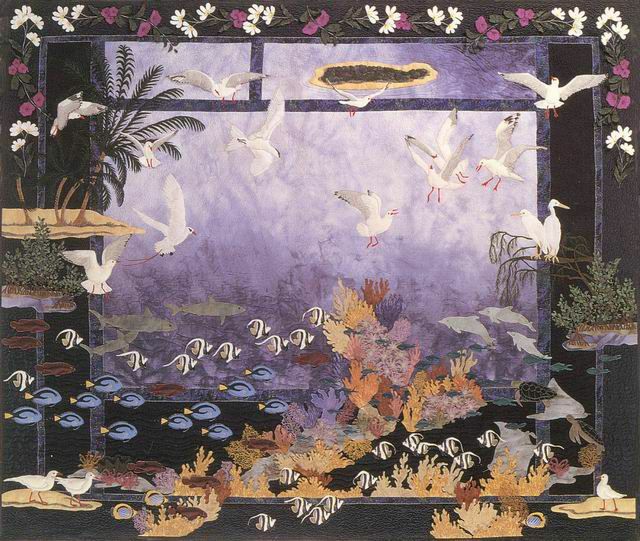 Made for the Melbourne Quilt Exhibition 1994, this quilt got a ‘Best of Show.’ The theme was ‘Myth, Magic and Mystery’. 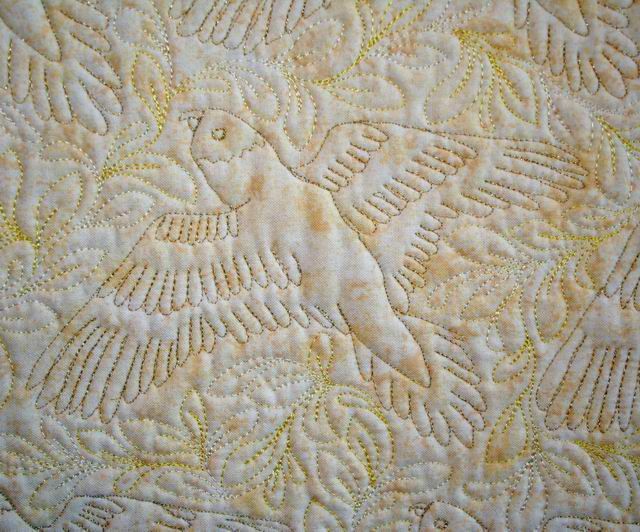 This is a ‘Story Quilt’ made for my eight grandchildren. 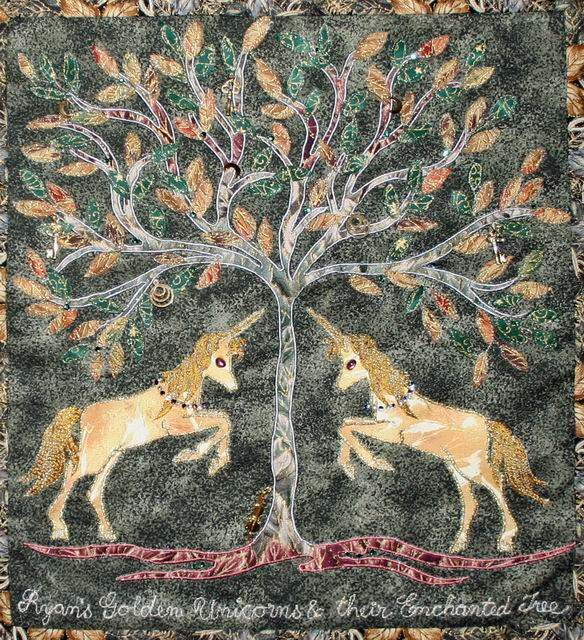 They can make up their own stories using the creatures and scenes on the quilt. 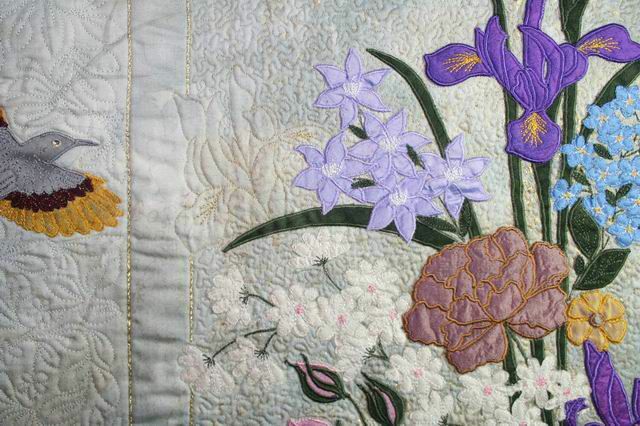 There are trinkets hidden underneath some of the three-dimensional flowers around the border. 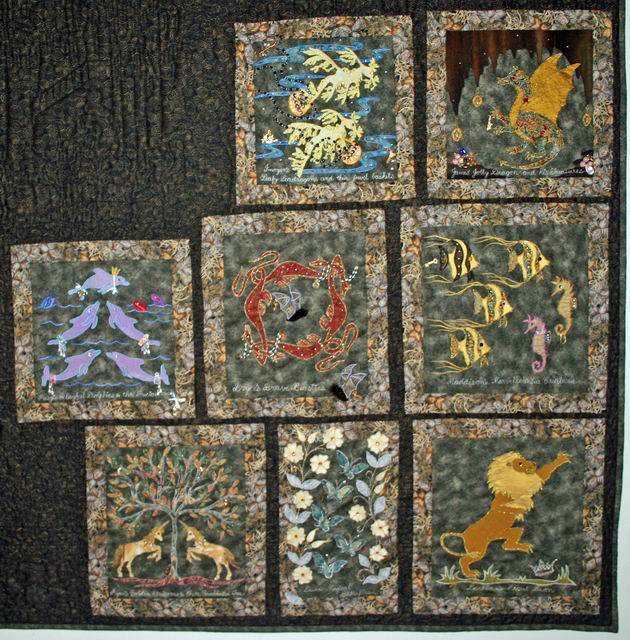 Each grandchild has their own block on the back of the quilt with more creatures, jewels and trinkets (see below). 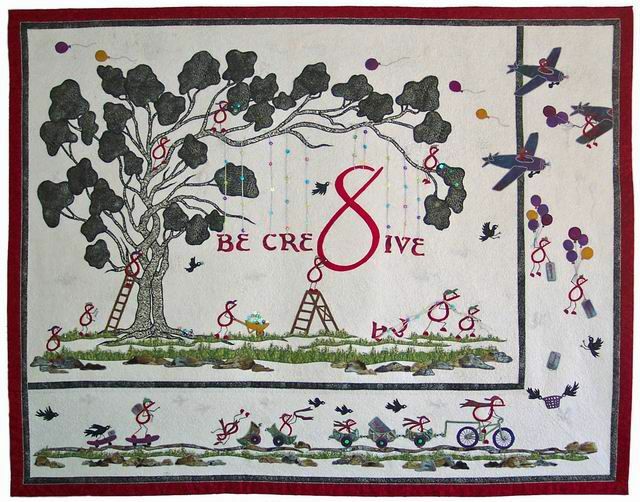 A quilt made in memory of my mother, celebrating her life, loves and talents. A gifted china painter, sea creatures were some of the last things she painted. 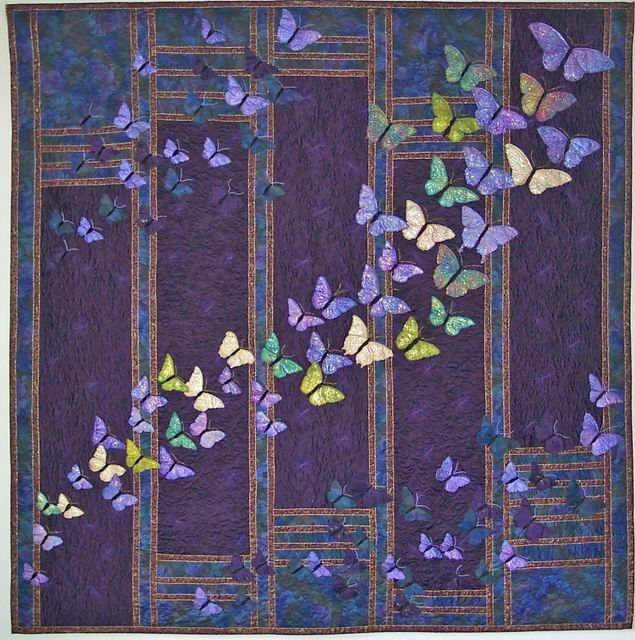 The quilt won ‘Best of Show’ at the Quilters’ Guild Quilt Show 1997. Commissioned by the ‘Quilts 2000’ Committee, this was the signature quilt for a huge fundraising event for the Paralympic Games in Sydney 2000. 638 quilts were donated from all over Australia to be auctioned or sold, and over $500,000 was raised. 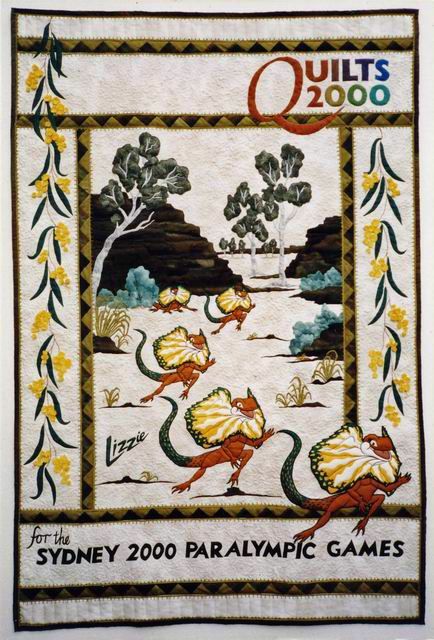 The quilt depicts Lizzie the Paralympic Mascot running from her home in Central Australia to the Games, with the Australian wattle blossom emblem in the border.This quilt is now in The Powerhouse Museum in Sydney with the Paralympic memorabilia. 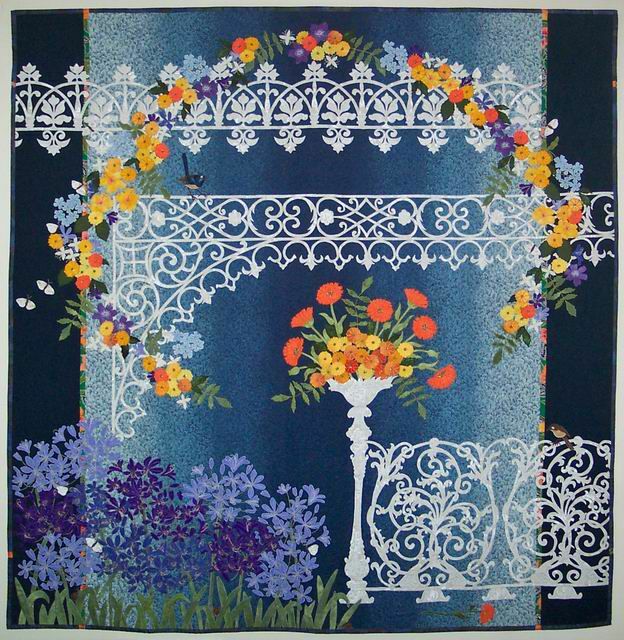 This was the first in a series of four quilts depicting “iron lace,” the cast iron ornamentation found on so many houses of the Victorian era in this state. 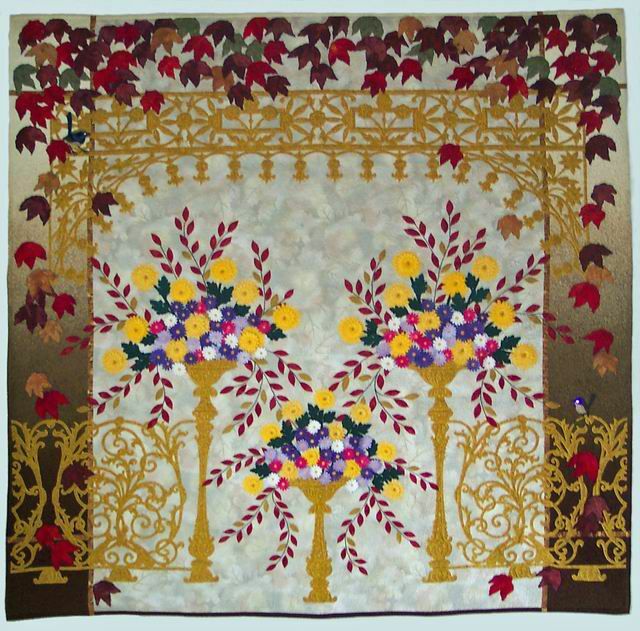 Each Iron Lace quilt is decorated with seasonal flowers. 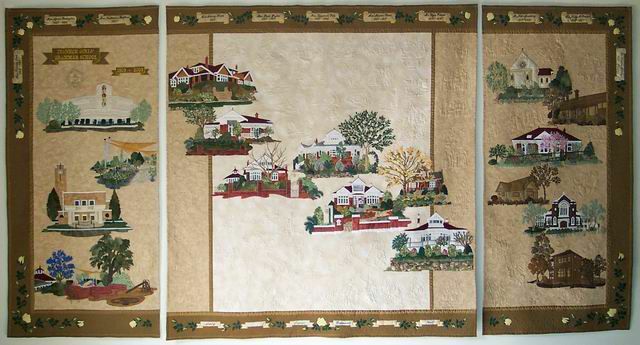 This quilt was included in the Canberra Quilters’ Centenary of Federation Exhibition – ‘Celebration Quilts 2001’ at the Canberra Museum and Gallery. The exhibition was also shown at The Barn Gallery, Monsalvat, Victoria and at Griffith Regional Art Gallery, NSW. 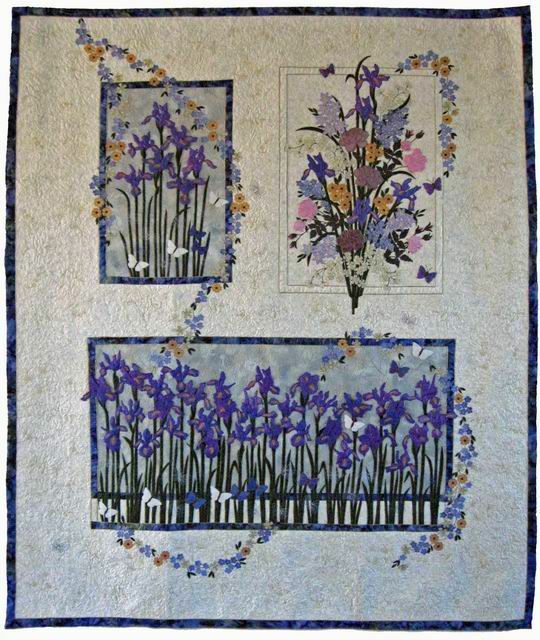 It was runner-up to Best of Show, in the Victorian Quilters Showcase 2002. 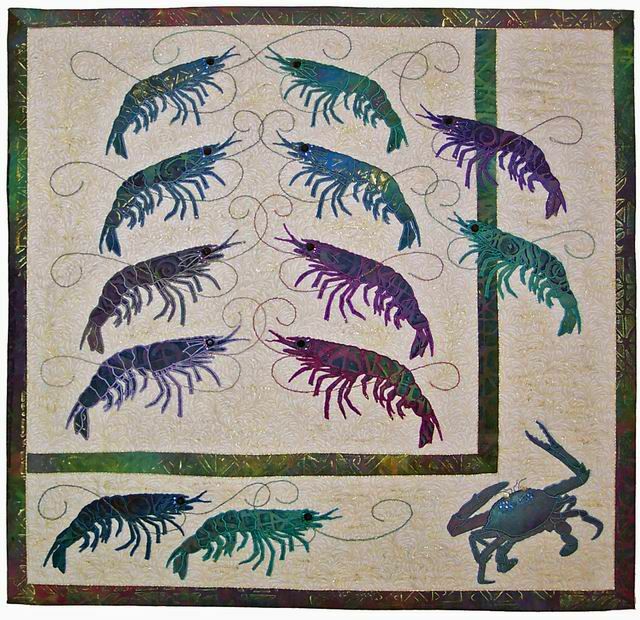 The quilt was awarded Best Innovative Quilt at the Australian Quilt Show 2004. 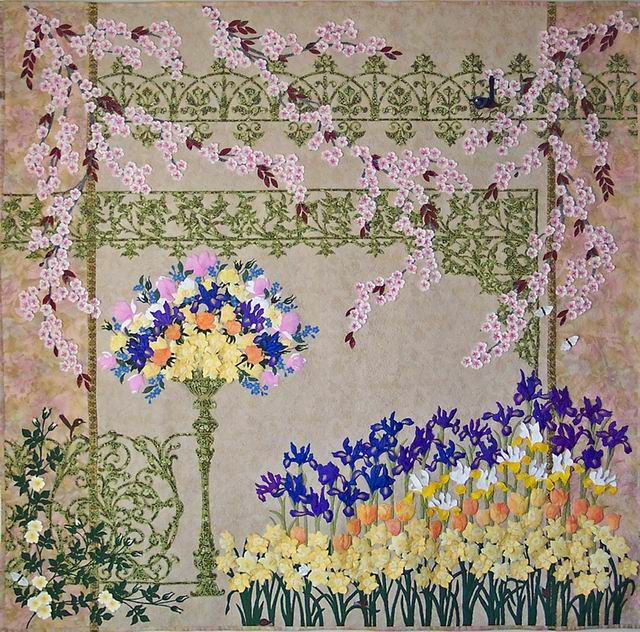 The background fabric is Japanese kimono silk 15 inches wide, which dictated the format of the quilt in panels. Pelicans are printed white cotton and Thai silk. 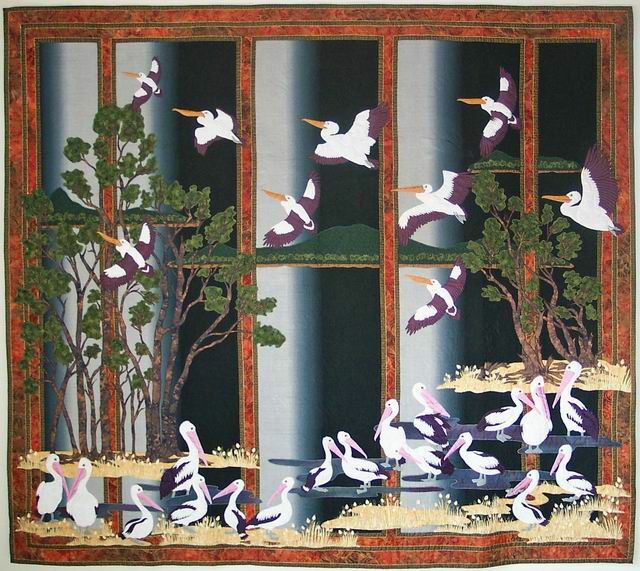 It was awarded Best of World at the World Quilt and Textile Competition USA 2000. 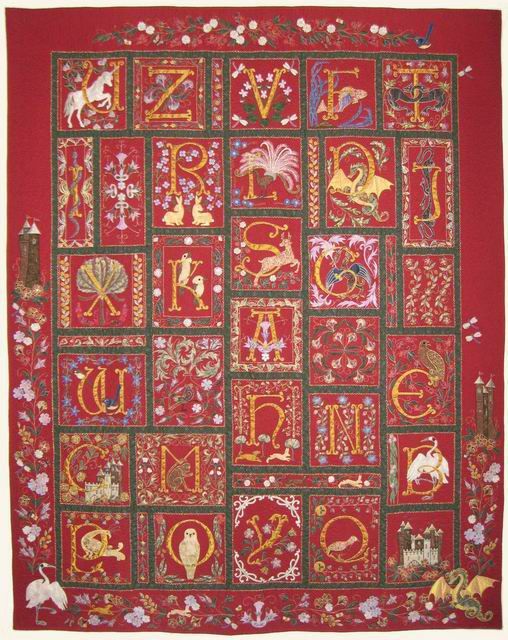 ‘Ivanhoe Girls’ Grammar School Centenary Quilt’ 2003. 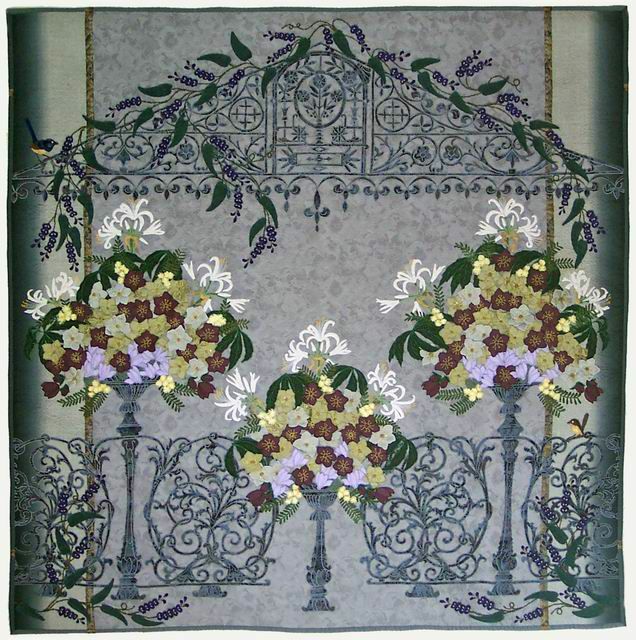 3 Panels – Centre 149 x 155 cm (58 ½ x 61in), 2 side panels 74 x 155cm (29 x 61in) (see below). The quilt was commissioned by Ivanhoe Girls’ Grammar School in 2002 to celebrate their centenary, 1903 – 2003. 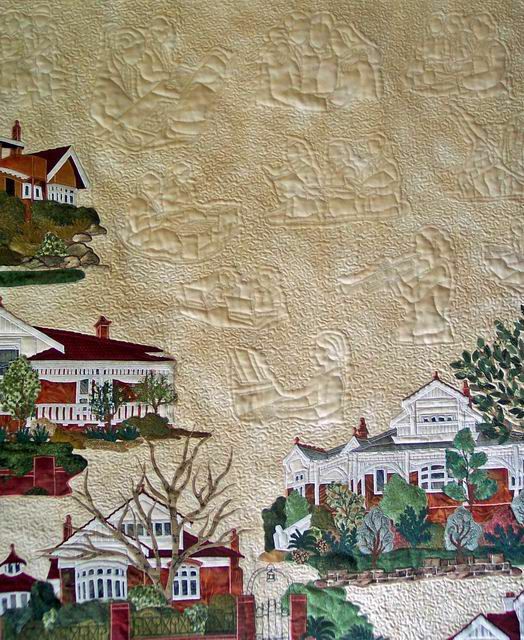 The quilt depicts the main school buildings, gardens and badges. The past and present Principal’s names and the Centenary Rose are round the border. 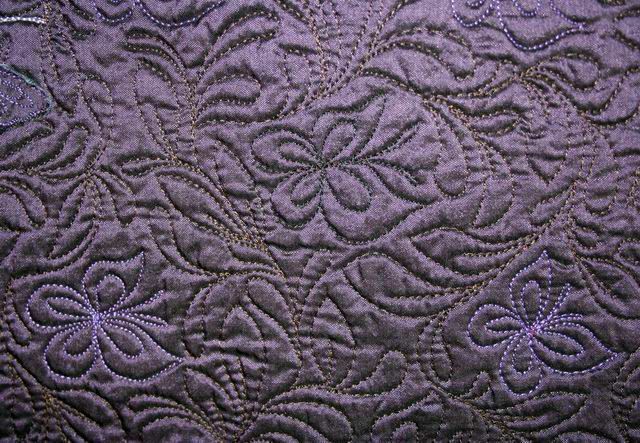 There are 186 girls at work, in sporting events and on excursions stitched in the quilting (see detail left). These images were taken from school records and magazines covering the 100 years of school life. 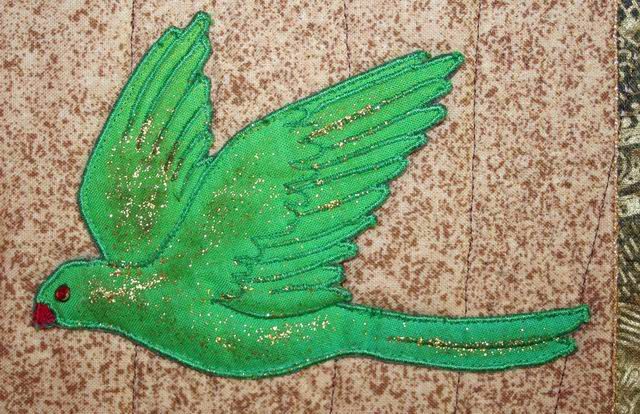 The background fabric is Thai silk. 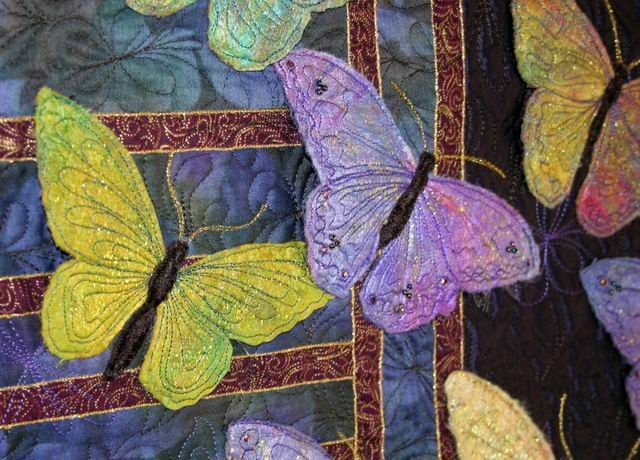 All the coloured central butterflies and the light purple ones top left and bottom right are made from silk ‘paper’ and embellished with beading, machine embroidery and Shiva Paintstiks. 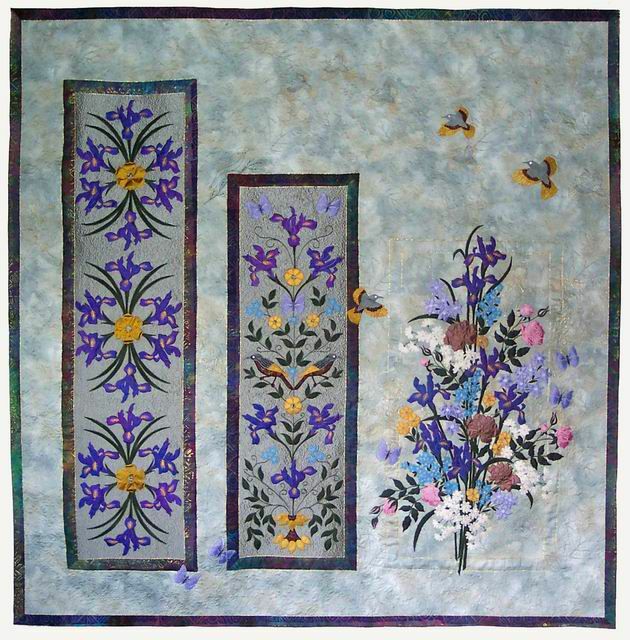 The quilt was selected for the 2002 Husqvarna International Quilt Competition, ‘Feel Free.’ The exhibition travelled to 11 countries and was shown in 19 different venues. 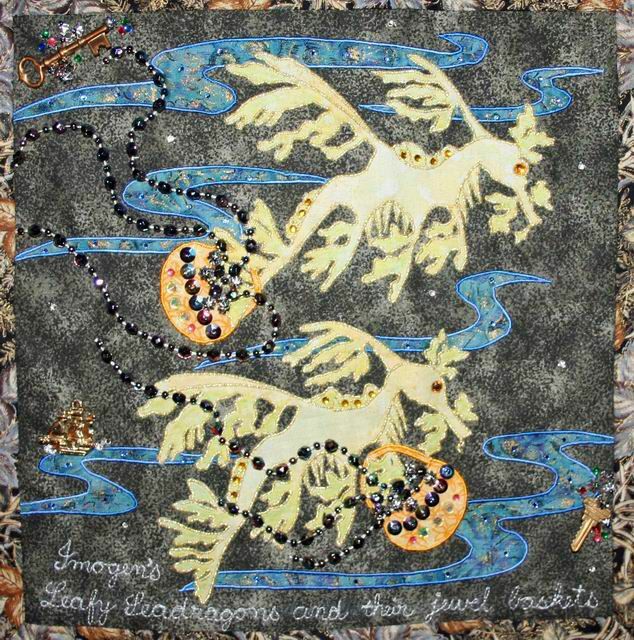 Selected for ‘Under the Southern Cross – Antipodean Art Quilts’ a travelling exhibition curated by Dijanne Cevaal in 2001. The exhibition was shown in venues in Australia, England, Ireland, Scotland, New Zealand and the Netherlands during 2001 – 2003. 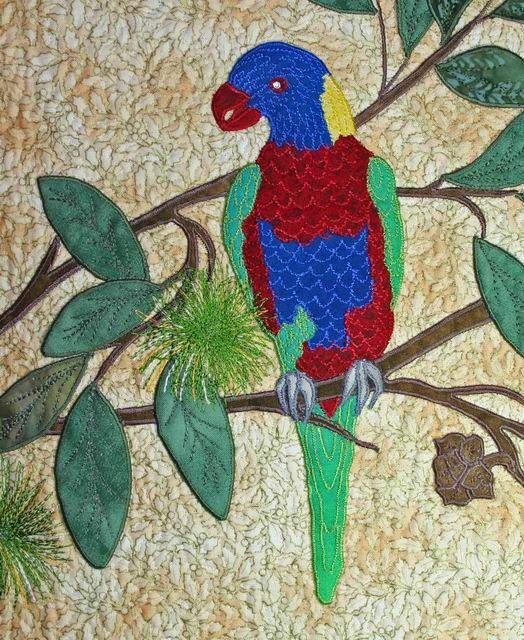 Selected for the 2004 Husqvarna International Quilt Competition, ‘Masterpieces: Color, Coleur, Colore, Kulor’. The exhibition was shown in various venues in 10 different countries. 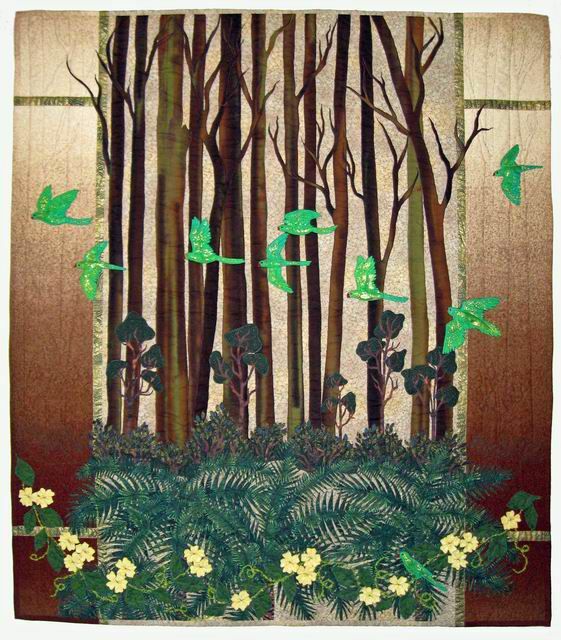 This was made in response to an invitation from Kokusai Art and Nihon Vogue of Tokyo to be included in the exhibition, ‘Japanese Imagery in Contemporary Quilts.’ The exhibition included one quilt by each of 75 Japanese and 25 western quilt artists. It was shown in 7 venues in Japan and 2 in South Korea. An image of my quilt was used on tickets and posters for the exhibition. 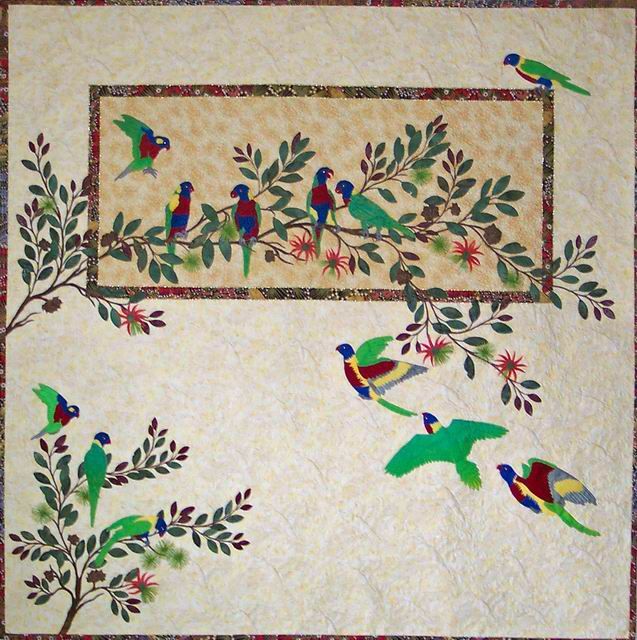 Best Small Quilt, Australian Quilt Show 2006. 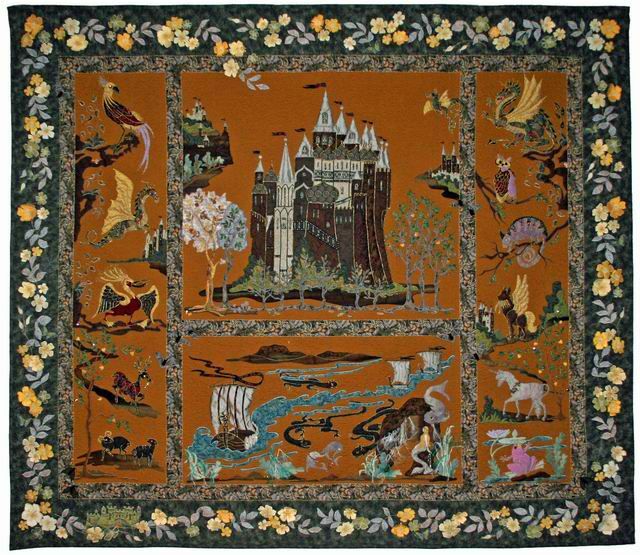 Best Machine Workmanship – Innovative, World Quilt Competition USA 2007. Australia was invited to participate with Japan and France in a multi-country challenge. The theme was ‘Earth or All Things under the Sun’. 30 sub-theme categories covered everything from architecture, flora, fauna and landforms to weather. There were 30 quilts from each country, one for each category and all 90 quilts were exhibited in the three participating countries. My category was ‘Crustacean’. Bernina Australia issued ‘The ULTIM8 Creative Challenge’ to the Friends of Bernina to promote the new Bernina 830 machine. My creation was a fantasy piece depicting some events in the cre8ive world of 8. The little 8 men are busy decor8ing and rushing Bernina packages to the stitching world (with some unexpected hiccups!). 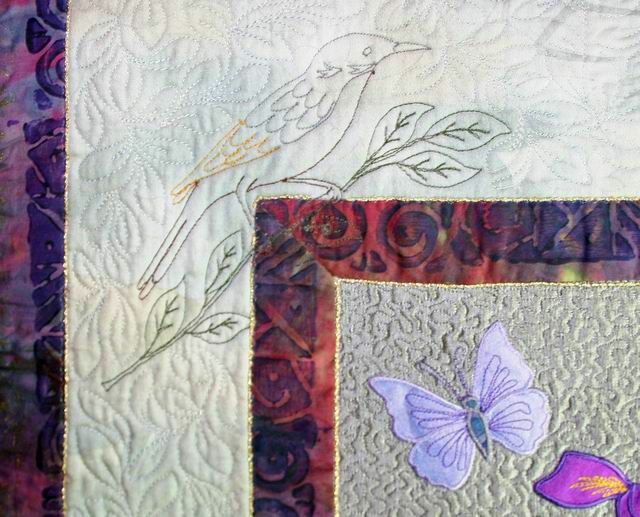 All 27 challenge pieces were exhibited in various venues and also published in a book by Jenny Haskins, ‘A Galleria of Machine Artistry and Quilting’. 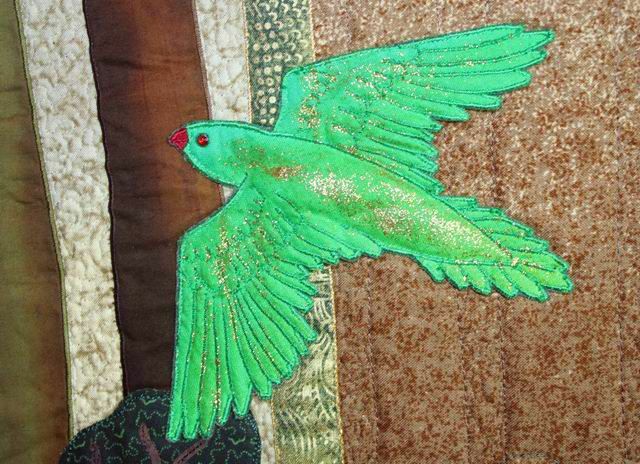 Made for ‘The Festival Gallery of Quilt Art: Wonders of the World’ at Houston 2010, it won First Prize in the exhibition. Getting this prize was one of the most exciting things that has happened in my quilting career.